If there is a space for another candidate, why limit the speculation to the vice president? Joe Biden and Elizabeth Warren met over the weekend to discuss presidential politics. And the whole of American political media is still talking about it—when it isn’t talking about Donald Trump. 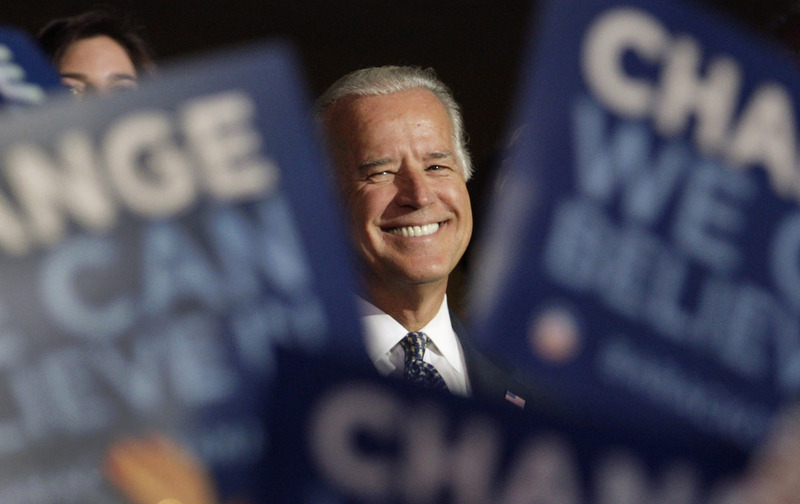 The focus is on Biden, who is exploring the prospect of a somewhat late entry into the race for the 2016 Democratic presidential nomination. It should be on Warren. If it should be anywhere at all. The Biden speculation has hit something of a fever pitch, as some Democrats and a lot of commentators have begun to speculate about whether Democratic front-runner Hillary Clinton’s campaign is losing steam. But there is a good argument to be made that this talk about Clinton’s political “vulnerability” is inflated. The former secretary of state remains the clear leader in the race the Democratic nod. The same polls that put Clinton ahead in the race for the nomination have both Clinton and Biden beating prospective Republican nominees; Biden’s advantage is marginally stronger, but the numbers are within margins of error. If concerns about Clinton were to escalate to a point where another prominent Democrat might see an opening, there is plenty of time to expand the field. Filing deadlines have not passed; the first debate has not even been held. Biden would certainly be a credible late entry. He has immense experience, base voters are genuinely fond of him, and the man who trumped Paul Ryan in the 2012 vice presidential debate is undoubtedly prepared to take on even the most volatile Republican. But if there is room for another contender, there is a solid case to be made for Warren. First, Hillary Clinton’s backers have made a compelling argument that Democrats should nominate a woman for president in 2016—with an eye toward both equity and practical politics. The equity argument is well understood: The next president will be serving when the United States marks the 100th anniversary of the enactment of the 19th Amendment; it is clearly time to realize the full promise of that amendment. The practical political argument is equally well understood: When Democrats mobilize turnout among women voters, especially younger women voters, they benefit from a gender gap that in recent decades has often provided the party with its margins of victory. Clinton’s history of activism on behalf of women’s rights is one of her great strengths as a candidate. A 2014 Gallup Poll asked: “In your view, what would be the best or most positive thing about a Hillary Clinton presidency?” The most popular response was that she “would be the first woman president.” Were Clinton to stumble, there would remain a substantial constituency of women and men who believe that 2016 is the year when the United States should elect a woman as president. And there would also remain a substantial prospect that nominating a woman could help Democrats to mobilize the voters that are needed to win in November. After Clinton, Warren is arguably the Democratic Party’s most prominent women on the national stage. That’s not to say that every Clinton enthusiast would be a Warren enthusiast. But Warren could enter the race even in its later stages with standing and the prospect of attracting significant support—not just among progressive populists but among the establishment of a party that has welcomed her into the Senate leadership and that has relied on her as a favorite campaigner for Democrats in major races. Second, Clinton’s strongest challenge at this point is not coming from another party insider like Biden, with a record of supporting the war in Iraq and the Patriot Act, as well as an economic record that has not been particularly populist. It is coming at this point from Vermont Senator Bernie Sanders, who leads in polls from New Hampshire and is posting solid numbers in other states. Sanders is attracting support based on his stands on the issues, and his determination to bring movement politics to the presidential contest. Biden is well-liked, to be sure, but he is not a movement politician and his stands on a host of issues tend to mirror those of Clinton. Warren, on the other hand, has taken stands on a number of issues that are closer to those of Sanders—on trade policy, raising wages to $15 an hour and cracking down on banks and Wall Street, to name but a few. She is closer to the party leaders than Sanders; but she is, at the same time, closer to the movements that are animating the progressive-populist politics of 2016 than Biden. That does not mean that a Warren entry would necessarily displace Sanders, any more than the late entry of New York Senator Bobby Kennedy as an anti-war contender in the the 1968 Democratic presidential primaries displaced the initial anti-war candidacy of Minnesota Senator Eugene McCarthy. Warren has steadily rejected entreaties to enter the 2016 race. Many supporters of the “Draft Warren” movement that sought to get her into the 2016 contest are now backing Sanders, and Warren has been quite complimentary toward the senator from Vermont, saying in July that, “Bernie’s out talking about the issues that the American people want to hear about.” When she was interviewed last week by Boston’s WBZ-TV, the senator was asked—in light of the support Sanders has attracted—whether she regretted her decision not to run a 2016 race. Her reply was as blunt as ever: “No.” And even her most enthusiastic supporters have come to accept that Warren, who has made no endorsement in the 2016 contest, is sincere when she seeks to still presidential speculation. But if the 2016 Democratic race were to evolve toward a point where there was a clear opening for a new prospect, the arguments for consideration of Biden are not so strong as the arguments for consideration of Warren.